Kate Landau is a 42-year-old single mom and physician’s assistant living in Florida with her daughter, Grace. She’s also a 2:33 marathoner. But the road to becoming an elite-level runner in her forties hasn’t been easy for Kate, who is set to run the Boston Marathon this Monday (and is gunning for a “2:30-ish” time). Kate started running competitively as a young age, and was a star athlete at her high school. She competed in the Junior Olympics and graduated as valedictorian of her class. 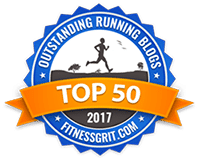 But, not wanting her running progress to be halted by puberty, Kate dove headfirst into an aggressive eating disorder, which became a mainstay in her life for nearly 20 years. She endured more than 25 stress fractures in seven years, and battled serious exercise addiction. If you or someone you know is currently suffering from or struggling with an eating disorder, please click here for help and support. 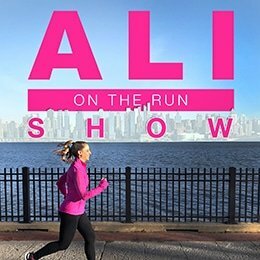 2 Responses to "Ali on the Run Show Episode 132: Kate Landau, 2:33 Marathoner"
Our 13 year old daughter is a promising runner and has anorexia. Similar to Kate at that age, she was at one point, 5’3″, 75 lbs. The eating disorder has a strong grip on her that so far, after 7 weeks of clinical treatment, hasn’t been shaken loose. On a whim, I sent a note to Kate, asking her advice on ways to help our daughter through and out of this. Kate answered immediately and has had a profound effect on my daughter”s psyche. The first night of contact, she texted back and forth with her for nearly an hour. Kate”s story, her strength and perseverence, her kindness and her openness about her struggles are changing my daughter’s perspective in ways the medical pros and we can’t. Thanks, Ali, for having her on the show. Our first chance to hear Kate”s voice! My guess is Kate personally and through her story is helping many more.